As most of you reading this will know by now, each year Q Language welcomes hundreds of students from all over the world. Hong Kong is a colourful, chaotic and fantastic place in which to live, visit or study. More often than not students who choose to study at our school not only have a very positive language learning experience but they also fall in love with this magnificent metropolis and are compelled to return again and again. 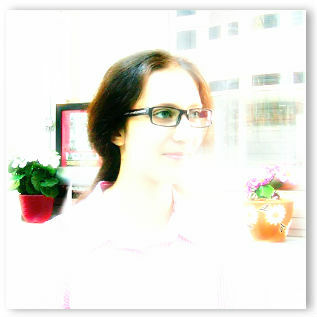 Oxana Mingalyova, from Kazakhstan, is one such student. She first came to study English at Q Language in 2011 but enjoyed her stay in so much that she decided to return in June this year (2013) for another Q Language Intensive English Course. Watch the video below to find out what Oxana likes about Hong Kong and why she chooses to study English with us at Q Language. Oxana: I am Oxana, I am from Kazakhstan. Interviewer: From Kazakhstan? And how long have you been in Hong Kong? Oxana: I’m going to stay here for two months more. I’m already (have already been) here one month. Interviewer: So you’ve done one month, you’ve got two months to go? OK. And why did you come to Hong Kong? Oxana: It’s a very long story because it happened two years ago when I came here to (visit) my uncle. I just wanted to visit here and they invited me to come here for (to) study English. So it was my first experience and after that I liked Hong Kong (and) as you see, I am here again. Interviewer: OK, good and why did you come to Q Language. Oxana: Q Language……I think it’s one of the most interesting places and the most convenient……I don’t know…..because it’s in Central, Hong Kong and you can go everywhere you want and it’s close to my apartment as well……and good teachers…..they have very good qualifications and I like this place. Interviewer: OK, and how did you find Q Language? Oxana: Actually, it’s (it was) not me, it was my neighbour, she found Q Language courses and she invited me to (suggested that I ) come here. Interviewer: And was it easy to apply? Did they organise a visa for you or……….? Oxana: Yes it was as well (also) very convenient because Q Language did everything for me so I just waited for maybe one and a half months and that’s all, I just came here and I don’t (didn’t have) have any problems. Interviewer: And they organised the visa….? Oxana: Yes, and I didn’t have any problems….yes, I just filled up (out) some information about me (myself) and they did everything for me. Interviewer: OK, and what about the accommodation? You’re staying with friends and family, aren’t you? Oxana: No, no, no! Two years ago, yes I was with them, but this year I decided to be alone. Interviewer: OK. Did you find your own place or did Q Language find you accommodation? Oxana: No, Q Language found me (a place) as well. Yes it’s a very good apartment and………. it’s very comfortable. Interviewer: Alright, and what do you like about Hong Kong? Oxana: Oh about Hong Kong……. every year when I come here I feel that I am here for the first time, you know, because it’s a very interesting place for me, you know, it’s an Asian country as is my country as well but the cultures are very different and the people are very different; you can meet them, you can find what you want and……there are different cultures and I like that. Interviewer: OK, good. And have you met lots of people in Q Language, have you met lots of other students? Oxana: Yes, and from Kazakhstan there are……this year, I’ve met about 2 or 3 people from Kazakhstan and I like that about Q Language that here I can find a lot of people from different countries, and today I found a girl, she (who) is from Israel. Oxana: Yes, it’s very interesting for me. Oxana: Thank you, me too. Interviewer: …………and I’ll see you again some time. Oxana: Yes, sure, thank you. Interviewer: OK? Say goodbye to them.